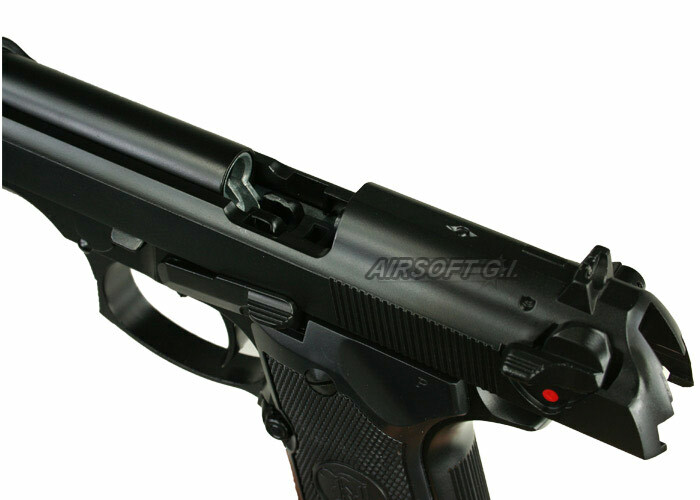 The KJW M9 Military 2008 features a metal slide and frame. 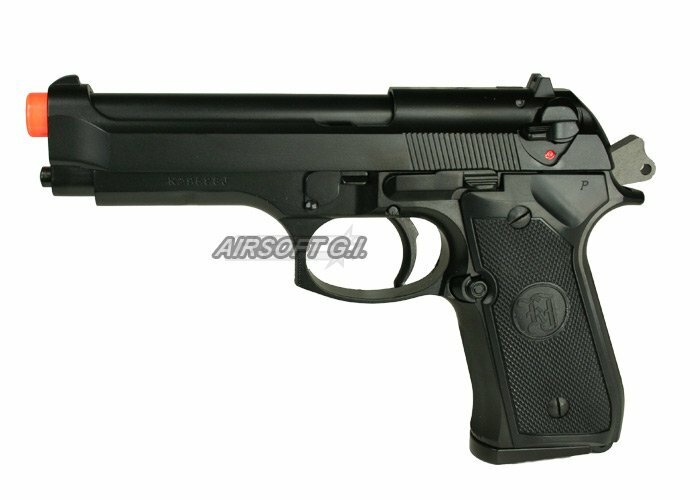 It is an replica model of the standard service pistol of the U.S. military. The ambidextrous safety is functional and it breaks down for maintenance in the same manner as its authentic counterpart. 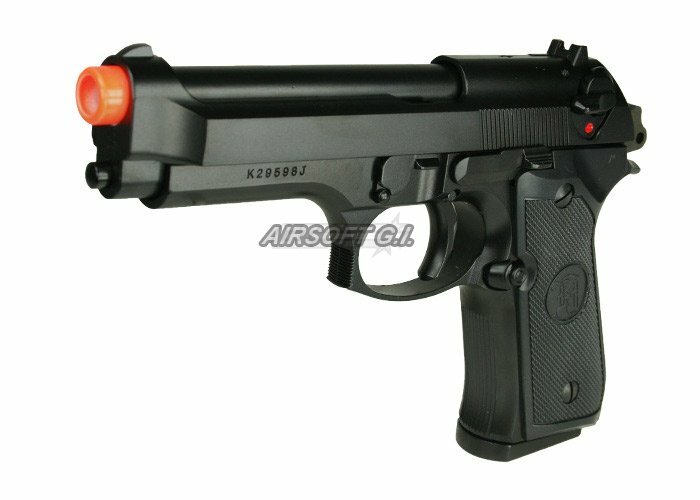 This airsoft gun has the proven design of the M9 and the reputation of a KJW gas blowback pistol behind it. I am new to Airsoft. The KJW M9 was my first gas pistol and so far I am really loving it. 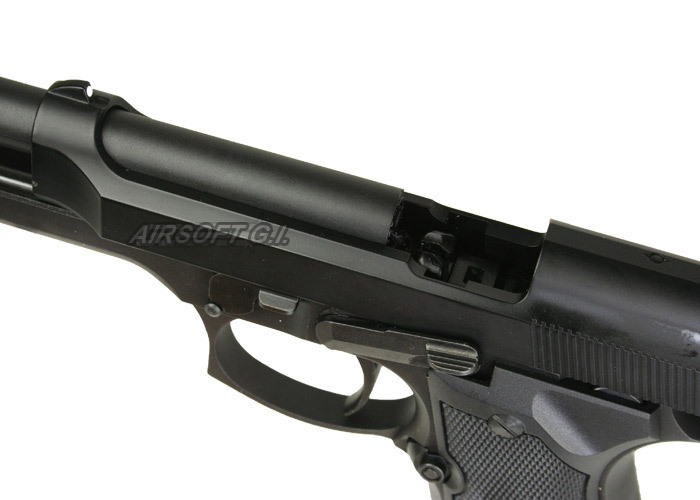 It is a great gun and has caused me no problems so far. It slides back when the clip is empty like a real gun so that is a nice feature. Very sturdy. Looks and feels like an M9. The KJW M9 is CQB ready with the FPS at 300 but right now mine is at 321 out of the box but I might have got lucky with that. 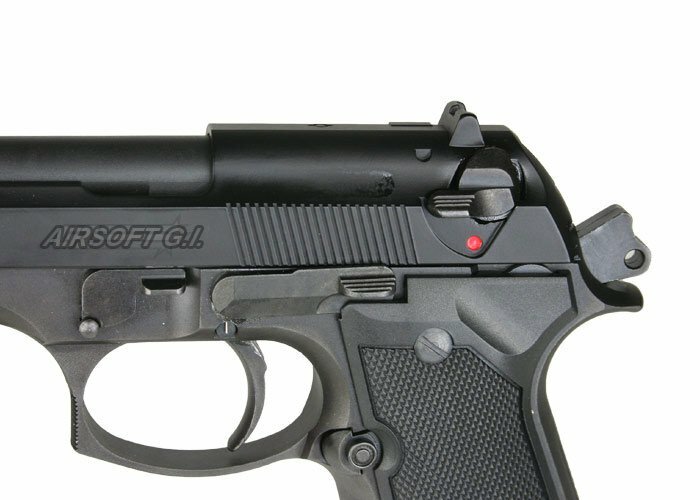 Over all the KJW M9 is a great gun and a great beginner pistol. For it's low price and awesome features I would have to rate this gun a 5/5. I do recommend this gun for beginners or as a backup. 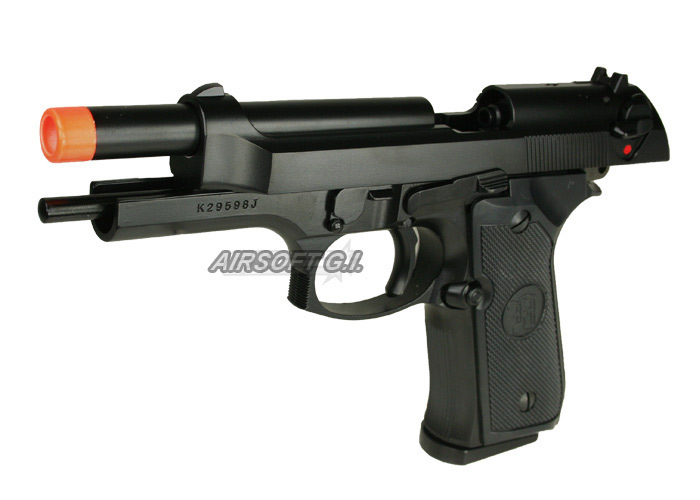 This gun has a cheap price for a great gun. Very sturdy. The fully metal feature is really nice. It has a good weight weighing at 8 pounds. It feels and looks like a real gun. I don't have any cons for this gun except for the reloading mechanism it is really slow. So if you plan on doing a pistol only loud out with this gun bring LOTS of mags. Pretty nice pistol. Quite heavy and good iron sights. Nice trigger pull and good looking. The hop up is adjustable. Can this be bought and shipped to Canada? Does this work just as well in the cold or does is significantly preform less? What magazines are compatible with this?